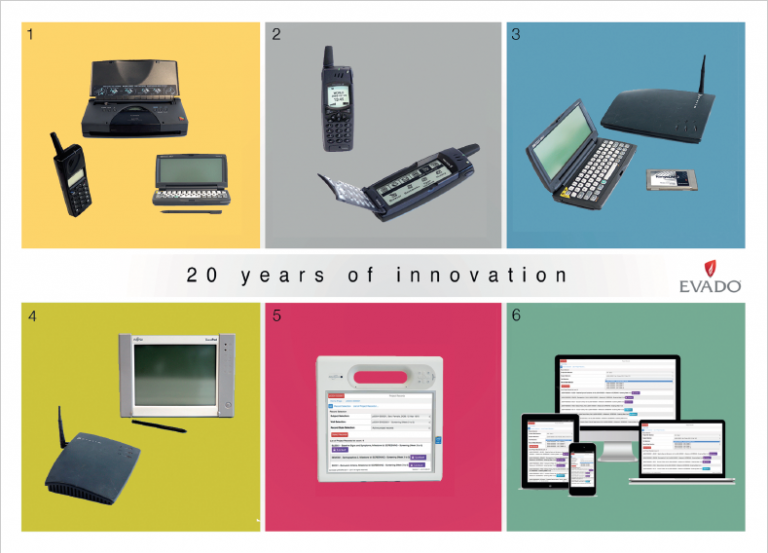 1997 First aged care application built using an HP Clam Top, Ericsson 888 phone and small Canon Printer. 2000 Application for nursing in Japan, WAP messaging technology on Ericsson R380 WAP phone. 2000 Mobile forms applications over Proxim Wireless. 2002 Fujitsu CE tablet running Mobile forms over Proxim Wireless. 2007 Evado eClinical running on a Windows XP, Motion C5. 2016 Evado runs on vendor agnostic hardware.